Bitcoin showed resilience over the course of the weekend, twice bouncing off the $645 level and steadily working back to $655. Another period of consolidation looked to be forming at $655, but a breakout occurred which saw the price top $664 before settling at the $662 level. $680 is again the focus on the upside, with resistance expected there should this breakout continue. A continued run to $680 would mark a 50% Fibonacci retracement of the Bounce House For Adults slow decline that began five days ago. Traders still holding their position from recent entry should trim their positions should bitcoin test the $680 level, where all attempts to push past resistance there have easily failed in the last three weeks. Long-term, bullish sentiment remains prevalent. The Winklevoss Twins‘ long-awaited bitcoin ETF (COIN) has decided to list itself on BATS, bringing it and bitcoin one step closer to integration with the US stock market. Access to Wall Street’s pool of liquidity is a very positive marker for bitcoin, which has grown in popularity but is still very new for traditional investors. 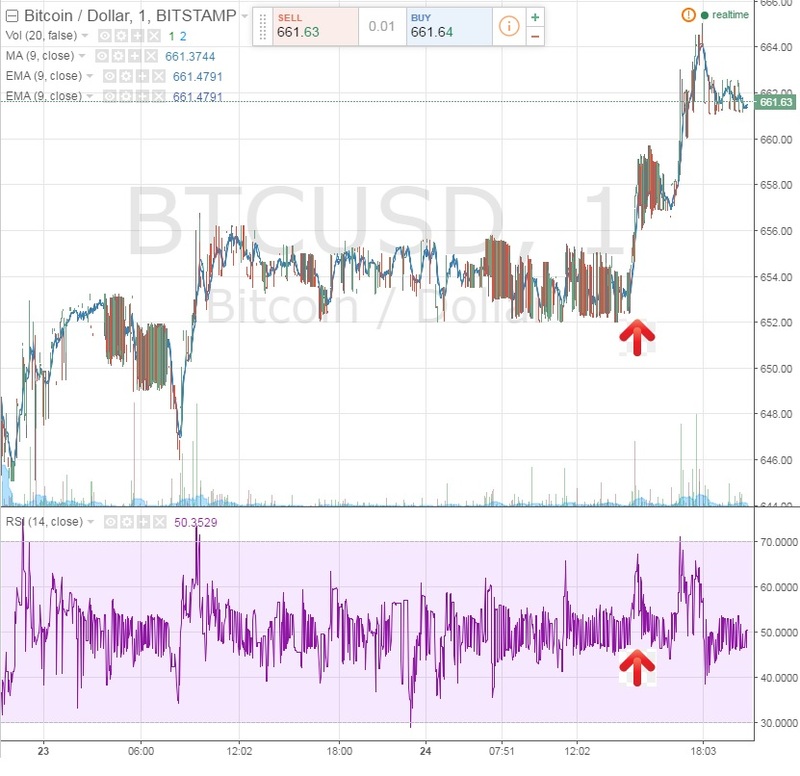 The RSI Pattern that was previously established has been broken multiple times, and can no longer be considered reliable for day trades. The red arrows on the TradingView chart above indicate the first break. Previously, an RSI above 65 marked the entry for a short position, to be closed when the RSI cooled to 55. As you can see, RSI breached 65 slightly below the $656 level, but the breakout continued to $659 even as RSI fell to 55. If a short position had been established here, it would have resulted in a loss. This incident also affirms the need for tightly established stop-losses when trading off of an established pattern, no matter how many times you have seen it work previously. When an established pattern breaks, it is prudent to allow a confirmed reset to occur before entering any new positions. Long-term traders should wait to see a break above the $664 resistance level. Should this occur, the next level of resistance is the $680 level that has repeatedly rejected bull runs. There is nothing to indicate that buying power will be strong enough to break through $680 this time, so entries above $664 should be closed and profit taken at the $667-$668 level. It is likely that price is looking to break out of the $640-$680 level it has found itself stuck in the last two weeks. Whether that break will be bull or bear is unclear.